Sunflower is usually a decorative plant, but people are unaware of the nutritional benefits it contains. There are many health benefits of sunflower seeds which might include lowering cholesterol levels, maintaining bone health, or helping with weight loss. Sunflower seeds rank in the top 10 sources of essential nutrients best for people of all ages. Here are a few exceptional health benefits of sunflower seeds you should know about. Below are some the amazing health benefits of sunflower seeds that you should definitely know, because you stand a lot to gain healthwise. Sunflower seeds are an excellent source of good fats such as polyunsaturated and monosaturated which can be beneficial for the body. These types of healthy fats may lower the risk of cardiovascular diseases. Sunflower seeds contain fiber which enhances bile excretion in feces leading to reduced cholesterol levels. According to many studies, higher unsaturated fats can be preferable as compared to low-fat diets. Lipoproteins present in sunflower seeds help the body get rid of bad cholesterol gradually. Sunflower seeds are not one of foods that are high in cholesterol. A nutritional compound present in plants known as phytosterol, also found in sunflower seeds, can significantly lower the blood level cholesterol. The kind of unsaturated fats present in sunflower seeds can remove the bad cholesterol and might have a positive effect on the heart health. Sunflower seeds contain several antioxidants that preserve the body from harmful radicals and prevent heart-related issues. A rare type of vitamin termed as folate can help in getting rid of substances which can increase the risk of several cardiovascular diseases. According to a study at Harvard, an increased intake of folate can naturally lower the chance of heart disease. One of the biggest macronutrients, protein, is involved in creating every cell of the body ranging from the skin to internal organs and muscles. 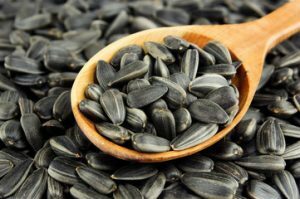 The type of protein in sunflower seeds produces amino acid that is required for creating, maintaining, and fixing all the damaged tissues. A research study shows protein can be crucial to boosting physical and mental wellbeing as well builds lean muscles. Aging adults who want to consume protein regularly should consider adding sunflower seeds to their daily diet. What a person consumes every day can affect the skin and overall health in the long run. An incredible source of vitamin E is sunflower seeds which protect the eyes and heart. Consuming sunflower seeds can allow you to keep a healthy and fresh skin. The elements in sunflower seeds have several health benefits and can protect you from seasonal infections, environmental pollution and moisturize the skin. Eating sunflower seeds can also act as an anti-aging element and make the skin appear younger. Leading a healthy lifestyle can be crucial in preventing several different kinds of diseases such as obesity, cancer, or Alzheimer’s. Selenium is also present in sunflower seeds which behaves as an antioxidant and prevents any kind of cell damage. Tissue or cell damage might lead to cancer or several different health issues. There might be no specific consumption value of selenium, but many nutritionists recommend eating foods containing some ratio of selenium. A single ounce of sunflower seeds contains up to 25% of selenium for men and 30% for women. Zinc is one of the minerals which can strengthen the immune system, prevent seasonal infections, and heal wounds faster. Sunflower seeds contain a considerable amount of zinc which is responsible for producing antibody and combating bacterial infections. Many people living in developing countries have been tested with zinc deficiency. 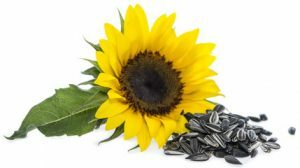 It is beneficial to consume less than a single ounce of sunflower seeds which is about 12% of the Daily Value and completes the daily requirement. Hence, one of the miraculous health benefits of sunflower seeds is that it is capable of boosting your immune system instantly. Nuts, vegetables, and sunflower seeds are a few nutritious sources of fiber. Besides a few food items, fiber can be difficult for the body to digest. Consuming fiber can be important in the fast growth of good bacteria and eases digestive issues. Fiber can prevent irritable bowel syndrome and helps you maintain normal body weight. 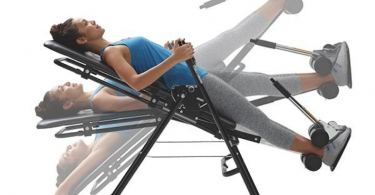 Eating and digesting fiber can take much time as well as contain low calories. However, sunflower seeds are rich in fiber with up to 3 grams on every one ounce which can be enough to complete the daily goal. Magnesium in sunflower seeds is one of the essential minerals necessary for the human body to function correctly. 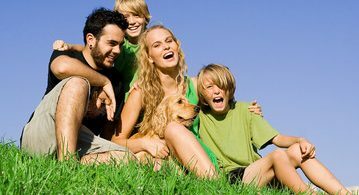 People with asthma experience a critical condition where the bronchial passage hinders with breathing. Several studies show the daily consumption of magnesium can allow the bronchial muscles to relax and enhance the shortness of breath. Eating magnesium-rich foods can be better for people who are on the verge of insomnia, severe migraines, or want to get rid of a stabbing headache. Marcus DJones has spent his life helping people lead more fulfilling lives. Most recently, he has been associated with senior home care Roseville. Being knowledgeable about Home Care Assistance, Marcus works hard to help seniors who need an extra helping hand in the comfort of their home.